The latest Nintendo Financial Results Briefing Q & A has been uploaded to the Nintendo Japan website. Among such topics that were discussed, one was on Nintendo expanding upon the sales of Super Smash Bros. Ultimate, Pokémon: Let’s Go, Pikachu! and Pokémon: Let’s Go, Eevee! We have put together a summary of the Nintendo Financial Results Briefing Q & A below. Regarding the downward revision of the Nintendo Switch hardware unit sales forecast for this fiscal year, what is different now compared to your expectations at the start of this fiscal year? Iʼd also like to know how many units you intend to sell in the coming fiscal year, and your sales strategy for doing so. Shuntaro Furukawa (President and Representative Director): This holiday season, we were able to release three major titles (Super Mario Party, Pokémon: Let’s Go, Pikachu!/Pokémon: Let’s Go, Eevee!, and Super Smash Bros. Ultimate), and were able to grow our year-on-year hardware sales in every region. Yet despite having been able to sell fairly large volume of hardware during the holiday season, it is true that we now do not anticipate reaching the forecasted 12-month sales volume set at the beginning of this fiscal year. As we look back so far (for this fiscal year), we now evaluate that our efforts to fully convey the appeal of Nintendo Switch hardware and software to the number of new consumers we originally hoped to reach were insufficient. You mentioned (in the presentation) that the Nintendo Switch Online subscriber base (excluding free trials) has exceeded 8 million accounts, which suggests the service has gotten off to a really good start. I assume the people who purchased Super Smash Bros. Ultimate subscribed to the service at once, but I am wondering how many signed up for 12-month memberships. Given the current content of the service and your pace of releasing a few major, first-party titles in a year, I imagine it might be hard to maintain a relationship with those members. The service is off to a great start, but what do you plan to offer to members going forward? Furukawa: We do think Nintendo Switch Online has had a good start coming out of the holiday season, helped in large part by Super Smash Bros. Ultimate. We are not disclosing details by each membership plan but among consumers who have purchased memberships, however, a growing percentage is now opting for shorter plans like the one-month membership. This is in contrast to the situation around the end of October of last year, when we reported that over half were opting for a 12-month family or individual membership. It is critical that these members want to continue using the service for a long time rather than letting it expire, and for that we need to build relationships with consumers and enrich the content. With this in mind, we are currently planning ways to boost the appeal of the service on a yearly basis. We will announce more details as soon as we are ready. Takahashi: The recent release of Super Smash Bros. Ultimate built on the first surge in membership sparked by Splatoon 2 led to take the subscriber base to where it is today in terms of numbers. We are preparing various new offerings for consumers who subscribe to the service. On the other side of the globally expanding gaming population and the sudden rise of e-sports, video game addiction is currently under study by the Ministry of Health, Labour and Welfare in Japan and it seems to become a social issue. What is your acknowledgment of video game addiction, and what measures are you considering to combat it? Furukawa: I think the problem of game addiction is more about becoming overly dependent on video games than is about any issues with the games themselves. One thing we have done as a company that creates games is to implement features that allow parents to limit the time that their children can play games. I think that further implementing features like this, and raising awareness among more people that these features exist is one way we can face this issue. What are you hoping for going forward from the collaboration with LINE Corporation, beyond Dr. Mario World? By collaborating with LINE, are you signaling a particular interest in developing games for younger segments of the population, such as teens? Furukawa: I believe everyone is familiar with LINE, which is virtually synonymous with “messaging application” in Japan. We believe that the real-life social graph (connections between friends via the Internet) cultivated by LINE, as well as the technologies supporting it, will be a very strong platform for consumers to enjoy our game applications, which is why we have formed this collaboration. And Dr. Mario World is a puzzle game, so we hope many people will enjoy it, regardless of gender or age. The “expanding” part of “expanding the number of people who have access to Nintendo IP” may be important, but looking at third-quarter software sales and the presence of two titles with sales of over 10 million units in a single quarter, it seems pursuing “depth” is also important. I think it is important to provide more software for consumers who have already purchased Nintendo Switch. I’d like to know your software lineup for next fiscal year and after, and if you’ve considered the possibility of increasing R&D spending to increase title count going forward. Furukawa: As you’ve pointed out, “depth” is also important, and we’ve considered many factors with regards to our future lineup. Takahashi: In addition to the titles we have already announced for scheduled release in 2019, we’re also preparing for releasing software titles which would delight consumers including one that is good fit for Nintendo Switch Online. As developers, we are always thinking about how we come up with seeds of entertainment that consumers are going to enjoy, and how to grow it to new products. I would like to continue developing and releasing such products in the future as well. Miyamoto: I have a very positive attitude about R&D investment. Because we are cooperating with other companies on software development, weʼre working on a larger scale than what can be handled solely within the company in terms of managing software development. But even as we expand the development scale, it is important that we will firmly maintain the Nintendo-made quality of the software. I know some people say we just need to hire more developers. We arenʼt merely focused on increasing development staff, but we are focusing on nurturing more developers adequately within Nintendo. I want us to actively invest in the products we develop, in order to maintain the quality we desire. 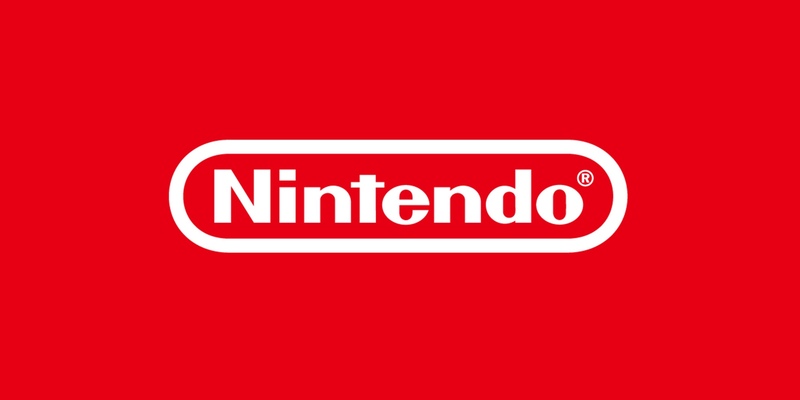 If you would like to see the full Nintendo Financial Results Briefing Q & A and see what other questions were asked, You can check the PDF via this link. The Q & A spans over 8 pages and there are questions that have not been covered in this article.